The PyeongChang Winter Olympics has come and gone with a bang -- Korean athletes reaped a total of 17 medals and were showered with camera flashes at every turn. But the excitement isn’t over yet. Equal in intensity but admittedly smaller in its scale of crowds and media coverage, the Paralympic Games kicked off on Friday. Cho Sei-hon, who has photographed every Paralympics since 2008, said he feels a particular affinity for the event. To the photographer’s eyes, Paralympic athletes’ wheelchairs and supporting equipment appear like battle armor or glistening accessories, he told The Korea Herald in an interview last month at a cafe in Gangneung. 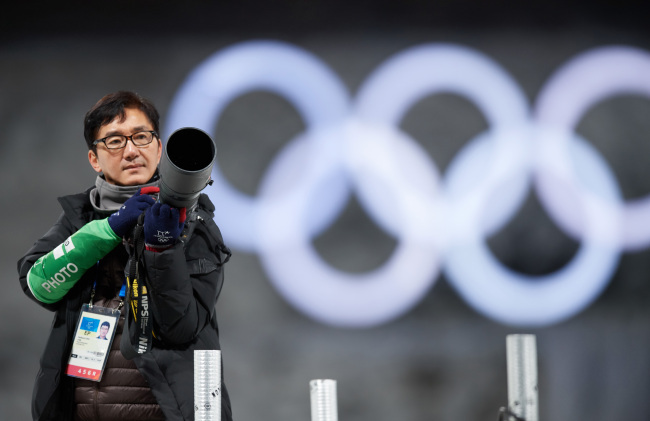 Cho, one of the 2018 PyeongChang Winter Olympics and Paralympics’ official photographers, has been manning the stadium areas since early February. “They glow with confidence and pride,” he said of the Paralympic athletes he has photographed, including sledge hockey player Jung Seung-hwan. Cho is known for his humanitarian efforts. Each year, he photographs celebrities with orphans to promote domestic adoption and he has served as an advisor to the United Nations High Commissioner for Refugees. 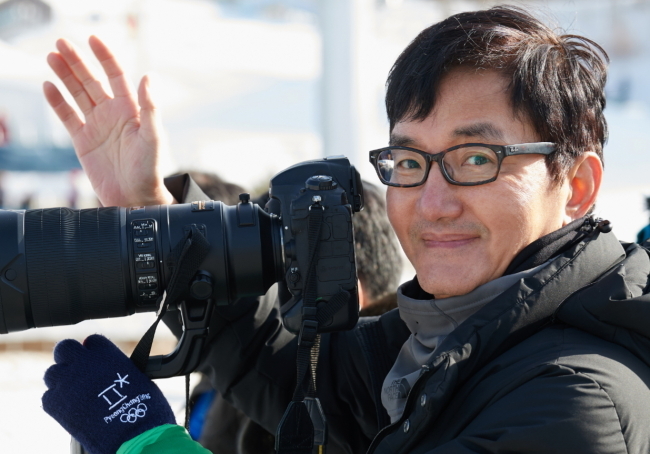 This year, he is the sole Korean photographer whose work will be included in the official Olympic Games photo book, to be published in June. The veteran photographer, who has received numerous awards and a presidential citation throughout his decadeslong career, wasn’t always an advocate of the lesser-shown aspects of society, however. For some 30 years, following his debut as a fashion and editorial photographer, his lenses captured the height of Korean celebrities’ and politicians’ glitz and glamour. Cho has shot actors such as Lee Jung-jae, So Ji-sub, Kwon Sang-woo and actresses such as Kim Min-hee, Jun Ji-hyun, Ko So-young since their early acting days. Specializing in portraits, he has directed and snapped the campaign posters of many politicians. At a certain point in his career, however, Cho felt an urge to look beyond the lights into the shadows, he says. His interests turned toward the more intimate, easy-to-overlook scenes of the world, and his lens began to peer into the lesser-lit corners. The change in thought prompted him to embark on various humanitarian projects, including establishing the not-for-profit welfare organization Himang Frame (Frame of Hope) which promotes culture and arts education for the needy. One of Cho’s favorite places to frequent is Gangneung’s Jungang Market, which opened in 1980 and has an underground fishery market. Over a lunch of raw fish and spicy fish soup at there, Cho observed the animated faces of locals and foreign tourists. “I want to capture this energy, the Korean landscape and Korean faces in the Olympic photo book,” he said. He hopes to include photos of Gangneung’s Ojukheon, where Korea’s prominent scholar Yi I was born, and chodang sundubu, a type of soft tofu that is a specialty of the Gangneung region. Cho says he was particularly drawn to moments such as those where a figure skater was tying shoelaces on skates with earphones on, getting into a certain mindset, or where a speed skater cautiously stepped onto the start line. 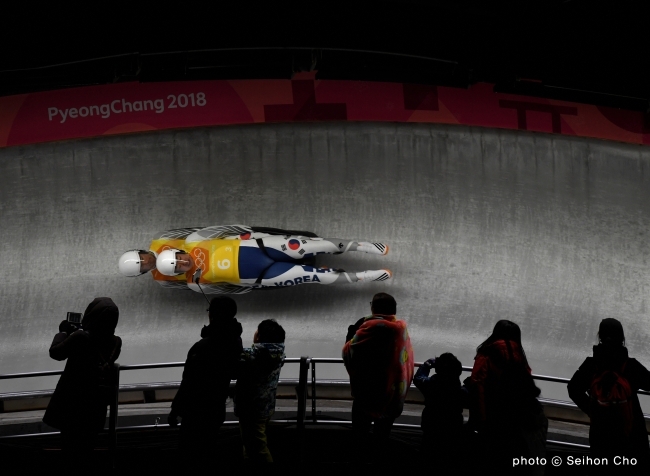 On Feb. 20 at the Gangneung Oval, just before the game where Korea’s speed skater Lee Sang-hwa nabbed silver in the Olympic women’s 500 meters, Cho clicked away at his camera for about half an hour, he said. He felt it was valuable to observe Lee in her both public and deeply private moment of preparation, in her final maintenance of discipline before the match. 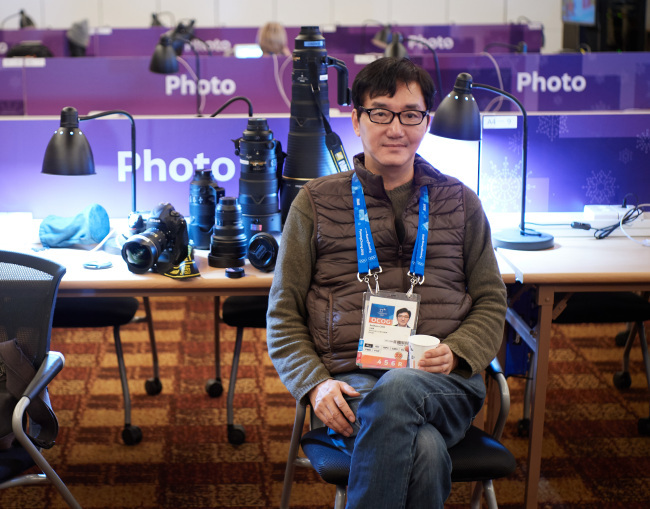 Cho, who describes himself as a tenacious documentarian, will continue to peer into the seemingly unseen moments of athletes’ lives throughout the 2018 PyeongChang Winter Paralympics, running from March 9-18. “That’s my job,” he said.